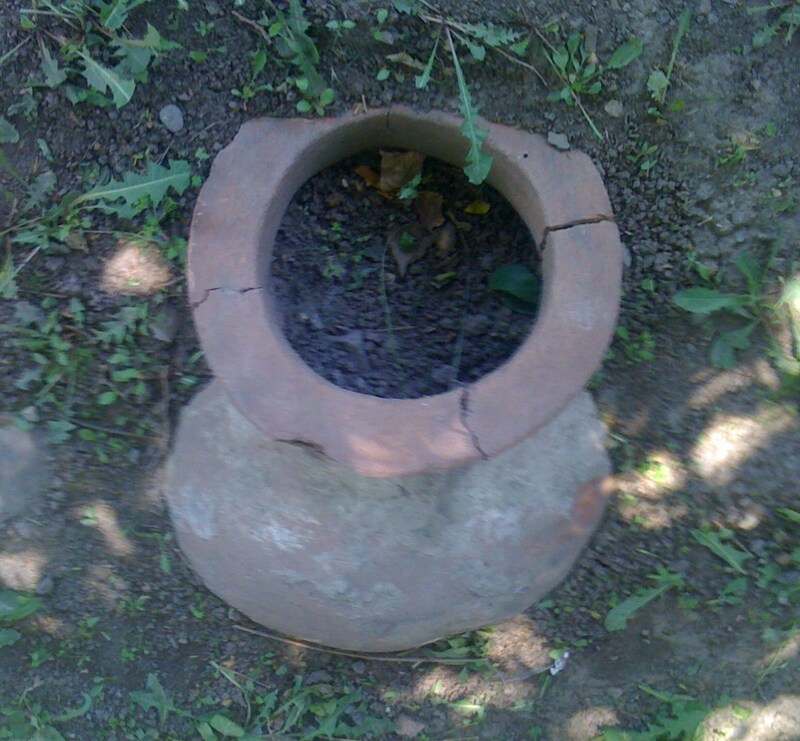 Thousands of years ago the ancient people of the South Caucasus Region discovered how to transform wild grape juice into wine by leaving it to ferment in clay vessels called Kvevri, which they buried in the ground. 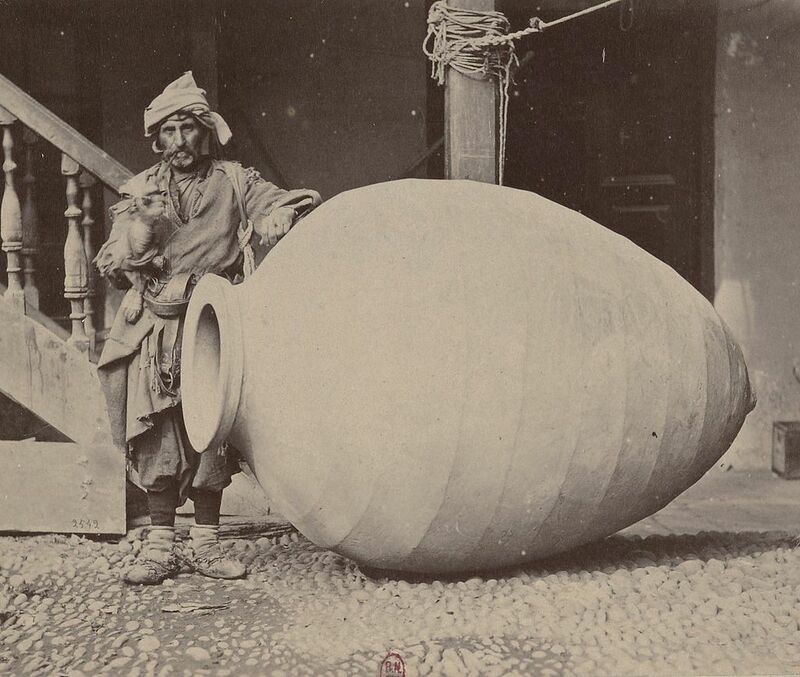 It was from Georgia that the method of wine-making in Kvevri spread to Mesopotamia, Egypt, Greece and the rest of the world. Even the modern English word “wine” is believed to derive from the Georgian word “Ghvino”. 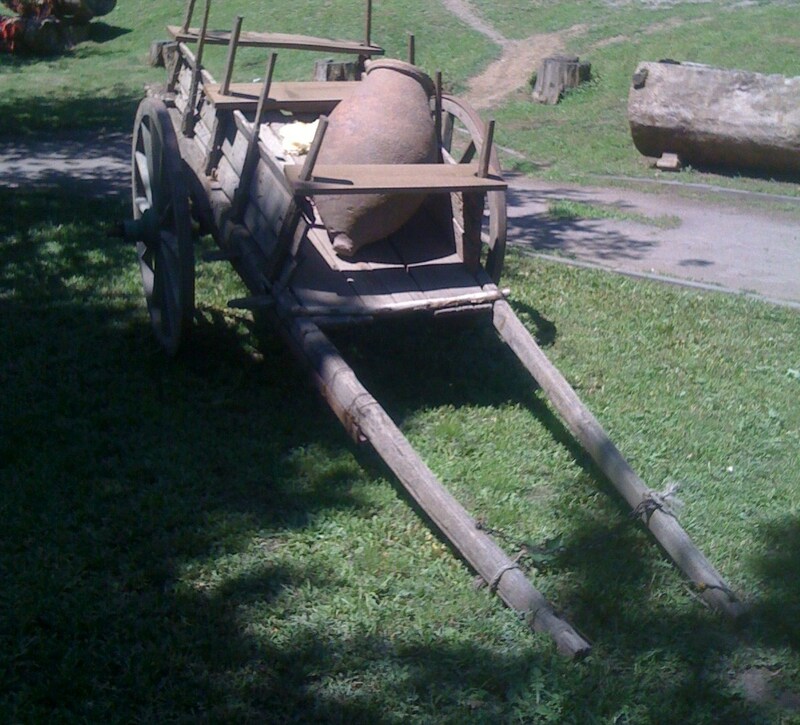 The making of wine in Kvevri is the oldest known method of wine production. The oldest clay jugs, found in Georgia, are over 7,000 years old. Kvevri are handmade from a special clay and are lined inside with melted fat or beeswax. 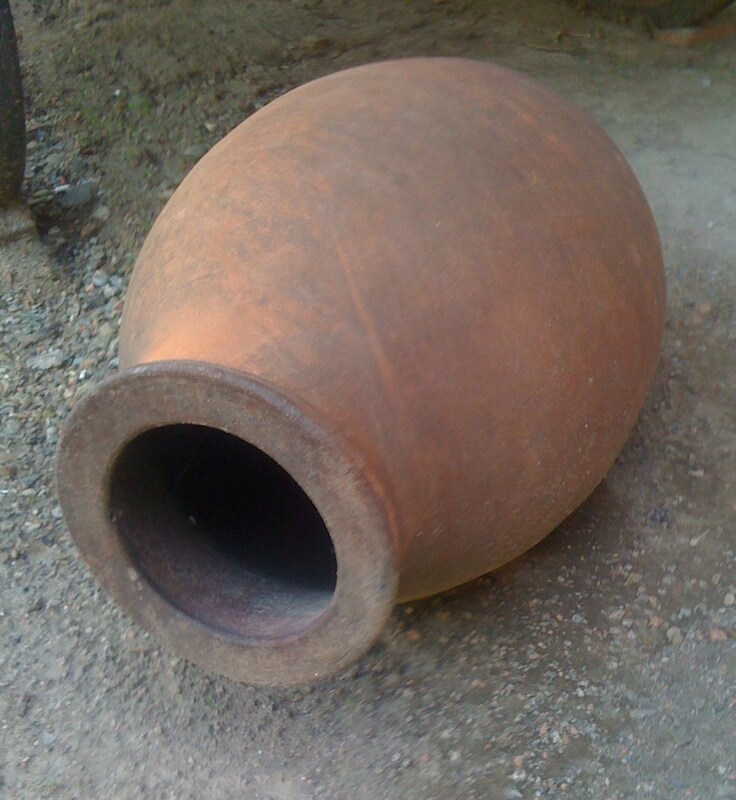 A good quality Kvevri can be used to make wine for a hundred years or more, without affecting the flavor of the wine. 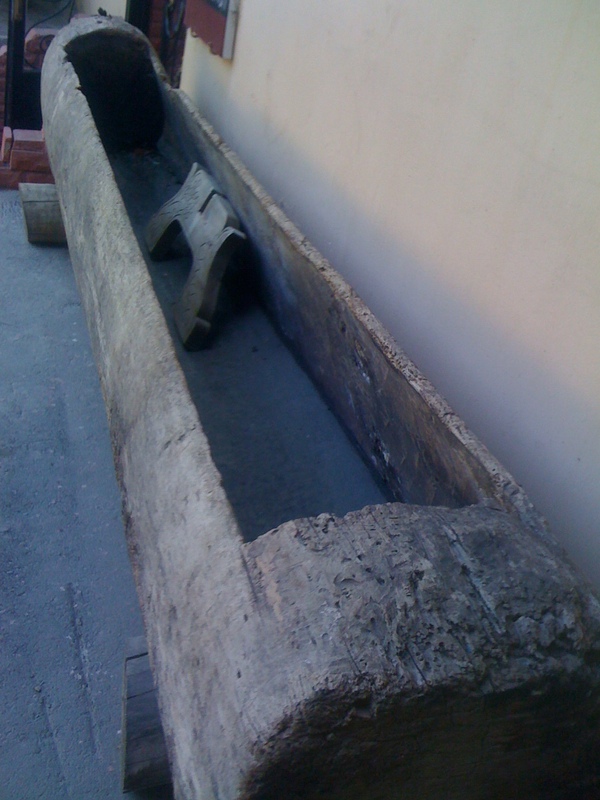 Kvevris with a capacity of 1.000-1.500 liters are the most common size for the fermentation stage. 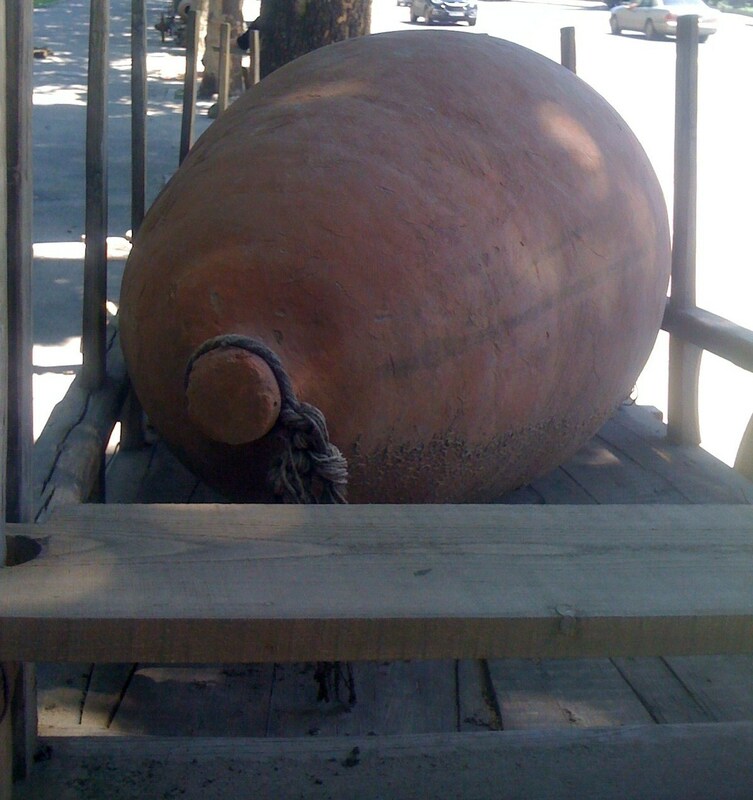 After fermentation the wine is transferred for consumption and storage to smaller Kvevris with a holding capacity of 50 – 300 liters. 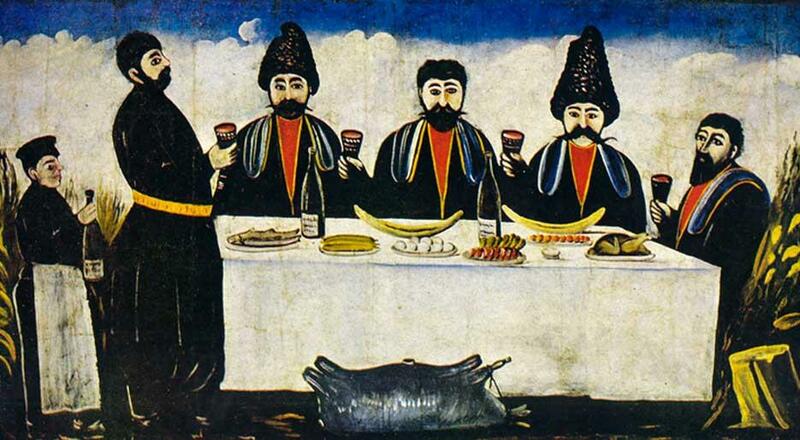 Occasionally a Kvevri is filled at the birth of a son and not opened and drunk before his wedding day. 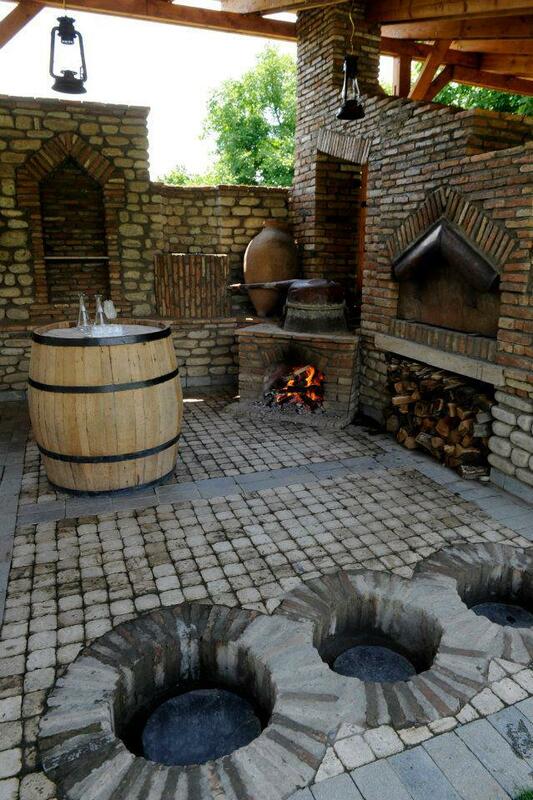 Many Georgian families still practice traditional wine-making and have special places called Marani for making and storing wine. In Eastern Georgia the marani are usually on the ground floor or cellar, with thick stone walls and small windows – or no windows at all – to keep the inside temperature as constant as possible. The Kvevries are buried below the floor level with the neck of the Kvevri surrounded by a recessed basin, usually lined with brick or stone. In Western Georgia, where the climate is much milder kvevries are buried in the soil shaded by trees or sometimes by a wooden shed called Churi-Marani. 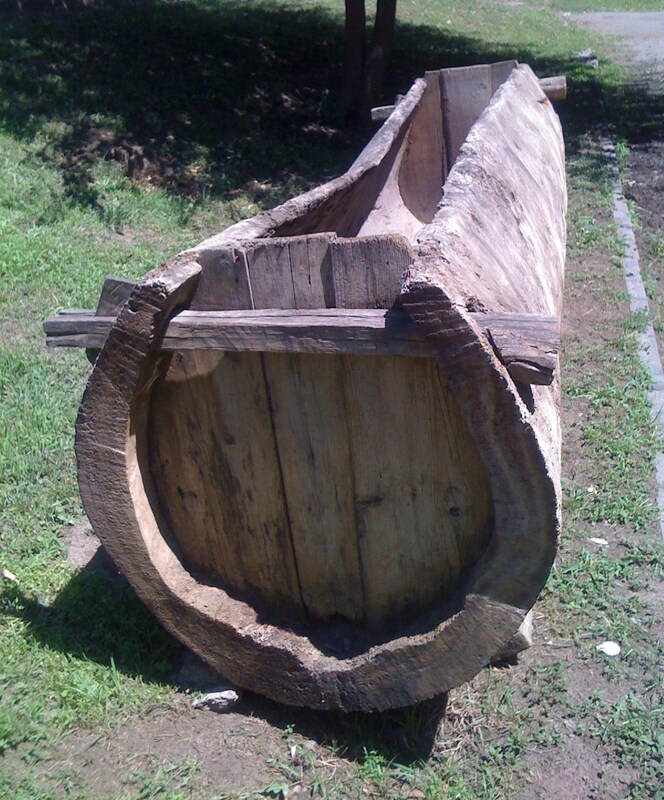 Traditional wine-making involves pressing the grapes in a long wooden tub called Sacnakheli. 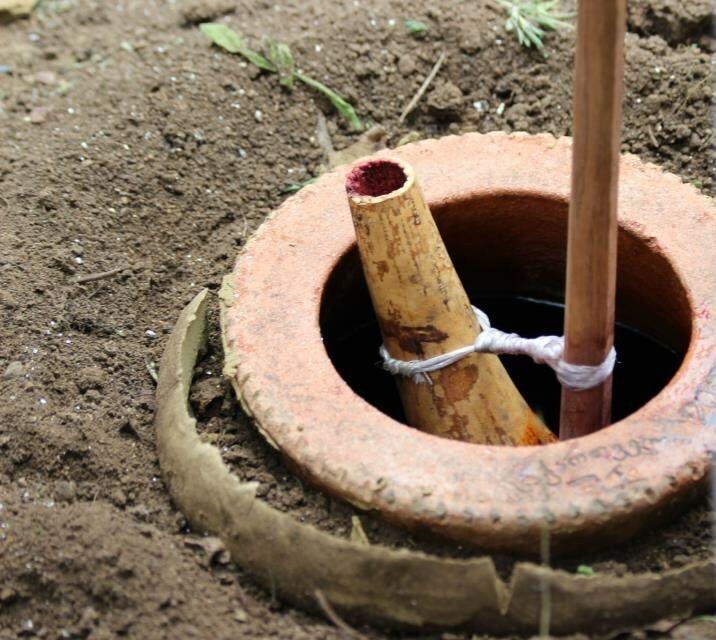 The Sacnakheli has a hole at one end to drain off the grape juice. There is an excellent website that details the traditional wine-making process and also has a short black and white movie about Kvevri. If you want to read more or see the short movie please visit this Georgian website (in English). 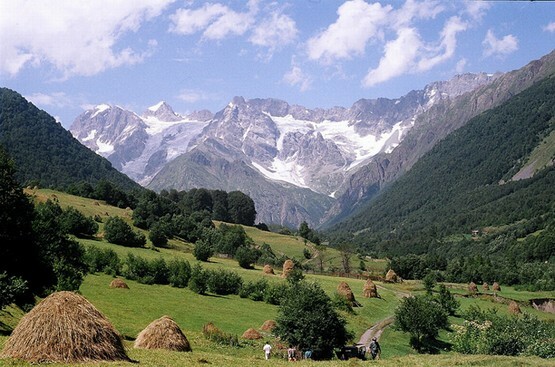 In a future post we will describe the wines and wine-making regions of Georgia. In the meantime, enjoy wine from Georgia – it is excellent! Thank you! 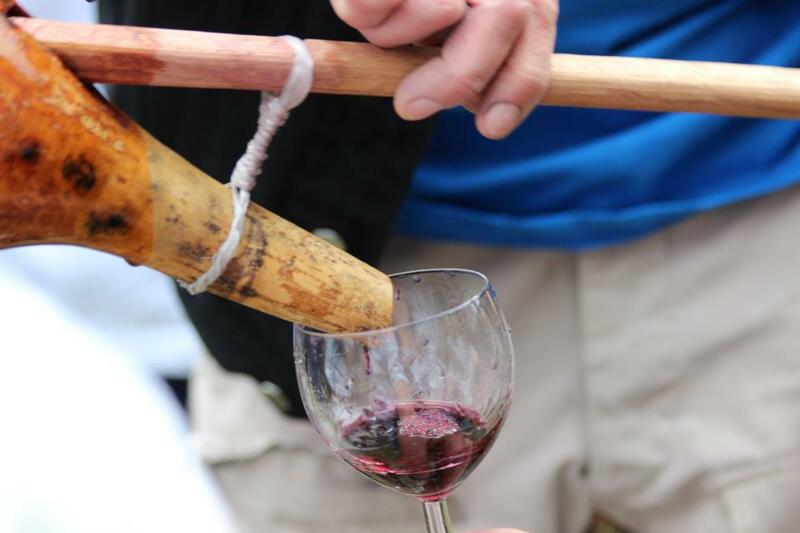 This very ancient method is still used today to make wine. How do they lift those big heavy jugs and how many bottles would one jug make? The very large ones stay buried Jodi. They can last for over one hundred years. There are some huge ones that are the size of a car! 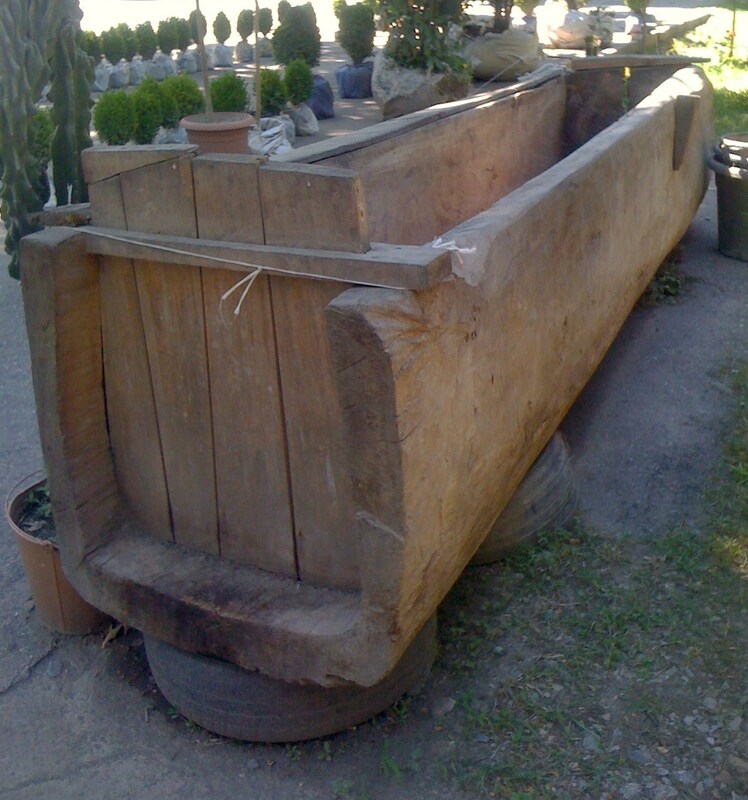 The smaller Kvevris hold anywhere between 50 – 300 liters. 7000 years ago! That is incredible! I’m wodering if we get Georgian Wine in Japan, too? Try to find some Georgian wine Kevin. I bet that wine tastes delicious! It does Dianda. I would highly recommend you try some.